One of the Mitzvot of Sukkot is the Mitzvah of the Lulav & Etrog, the four species which we bring together and make a Bracha. It symbolizes the unity of Jews from all backgrounds. 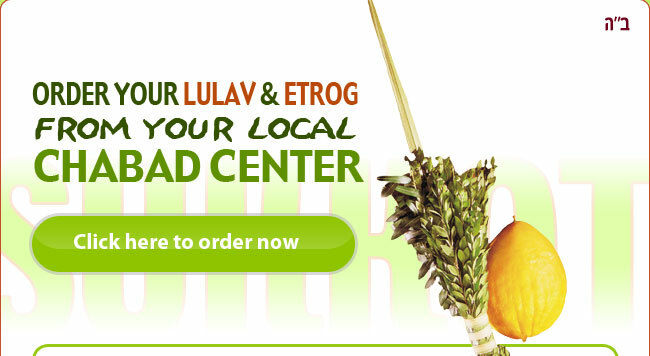 If you have not yet ordered your Lulov & Etrog set, please place your order ASAP by clicking below. Orders need to be finalized by Thursday, September 13 in order to ensure delivery in time for Sukkot. Your timely response is greatly appreciated. One of the special Sukkot mitzvot is the mitzvah of the "Four Kinds" - the lulav, etrog, myrtle and willow. This is a mitzvah like any other mitzvah of the Torah, but it is a very significant one and symbolic of unity and harmony. When the blessings are recited over them, it is customary to wave them to all the four winds and also upward and downward, signifying that G‑d is everywhere.